Here are some that I’ve been saving up. 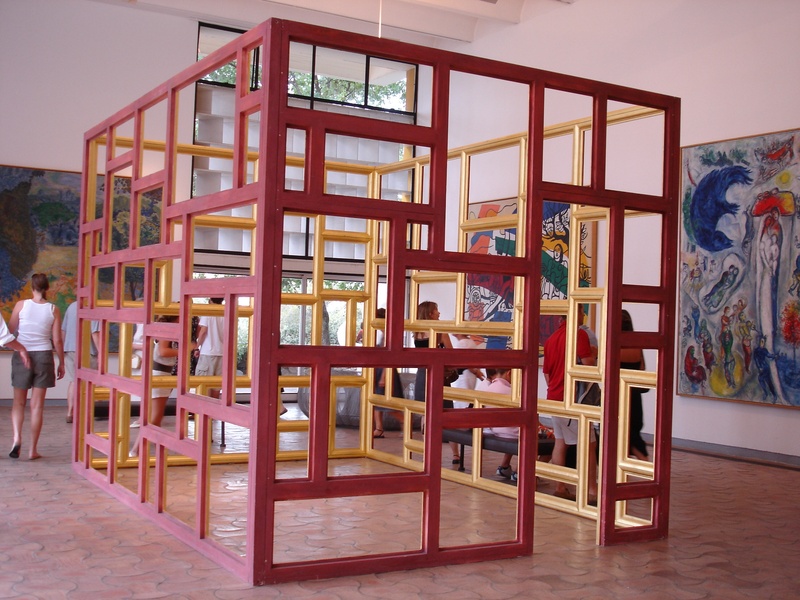 This first one, Intemperie by Catalan artist Perejaume, was at Fondation Maeght, St Paul de Vence in 2007. An enclosure built of picture frames, facing inwards inviting you to step inside and look through them at paintings by Bonnard, Leger and Chagall on the gallery walls beyond. It was originally sited on a mountain top in Garraf, south of Barcelona, where it could be used as an observatory of the surrounding landscape. 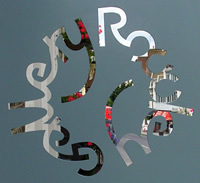 This installation was at Haunch of Venison, London in 2010. It was called One Place and was by Japanese artist Chiharu Shiota. 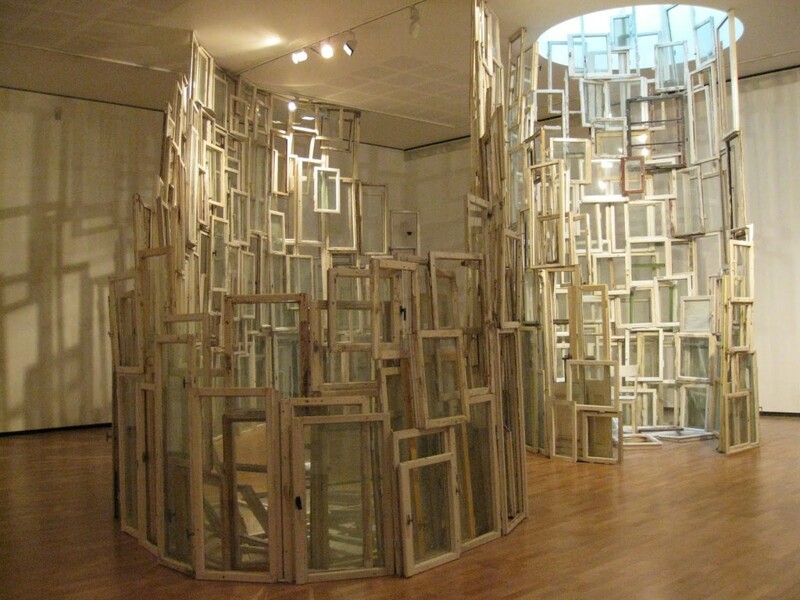 She had collected found window frames “from deserted and dismantled buildings, construction sites, disused psychiatric hospitals and uninhabited apartments” in East Berlin where she lives. She used them to build this sinuous wall climbing to the skylight, so that it is lit from within giving it an almost spiritual presence. This is a short trailer for The Manganiyar Seduction by Roysten Abel. A group of over 40 Manganiyar musicians from Rajasthan are presented in curtained booths, in a visual display inspired by Amsterdam’s red light district. As they perform they are framed with lights. They begin slowly, booths opening gradually, voices lifting, percussion building, until eventually like an advent calendar with all windows open, lights dancing, the music soars to a spectacular climax. It is traditional Indian gypsy music with a little bit of Bollywood bling. Unfortunately I didn’t actually see this one, at least not at first hand. I’d gone to the Barbican cinema but noticed TV monitors in the foyer relaying this live performance from the concert hall. “A compelling feast for the eye, ear and spirit”. It was mesmerising. Too late to get in to see it, I had to console myself with the CD. This entry was posted in Art, Frames, Music, Video and tagged Chiharu Shiota, Fondation Maeght, Frameworks, Haunch of Venison, Manganiyar Seduction, Perejaume, Roysten Abel. Bookmark the permalink.